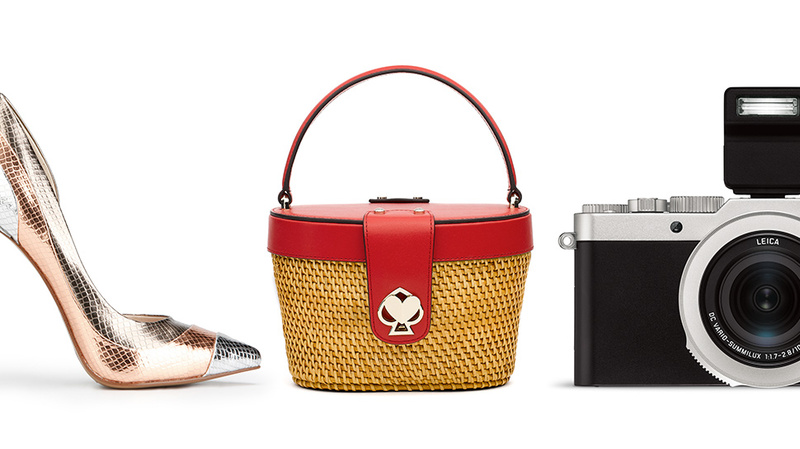 The old-school style gets a modern upgrade. When it comes to men's shoes, there are a few essentials that every guy should have in rotation. One of those? A solid wingtip. 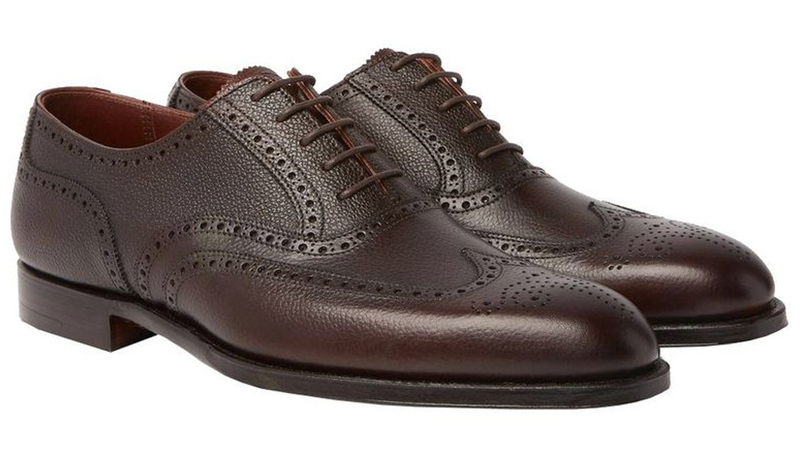 The subtle detailing, which is often accompanied by broguing, makes a standard black or brown shoe really pop. 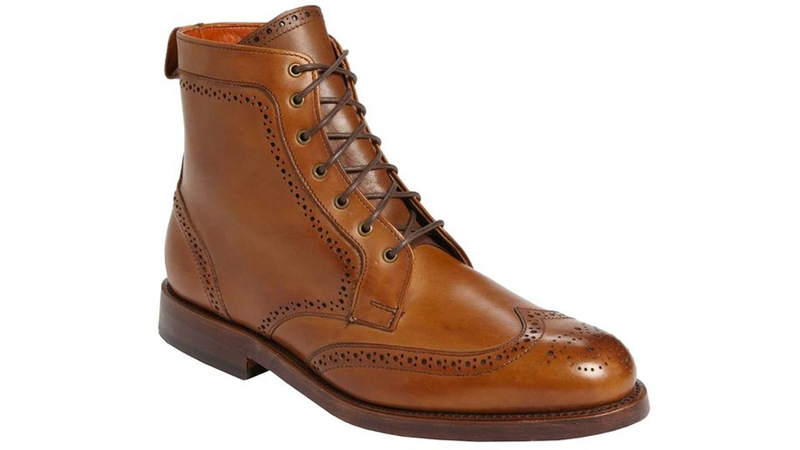 The details make it a little more casual of a shoe than, say, a cap toe, but they're usually of the dress shoe variety. Wear them with suits and great trousers, and wear them often. 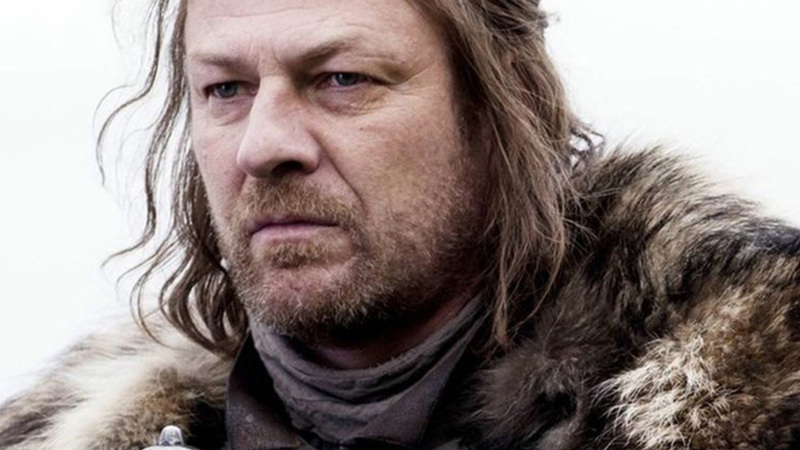 Here are 11 of the best out there right now. 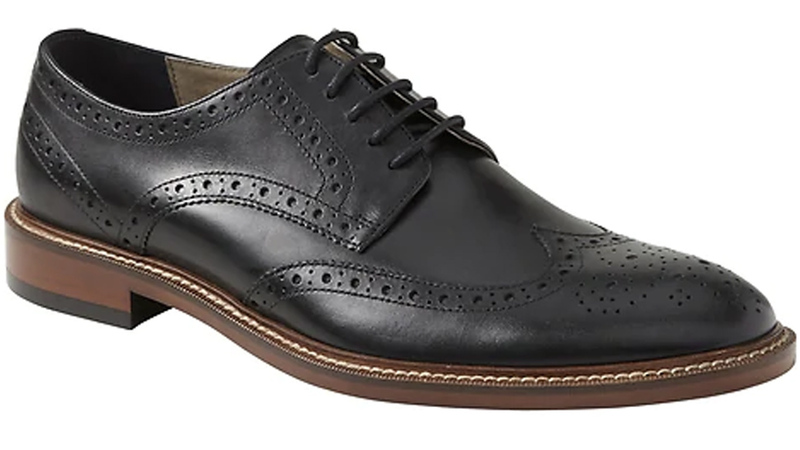 Banana Republic does a low-key leather shoe well. 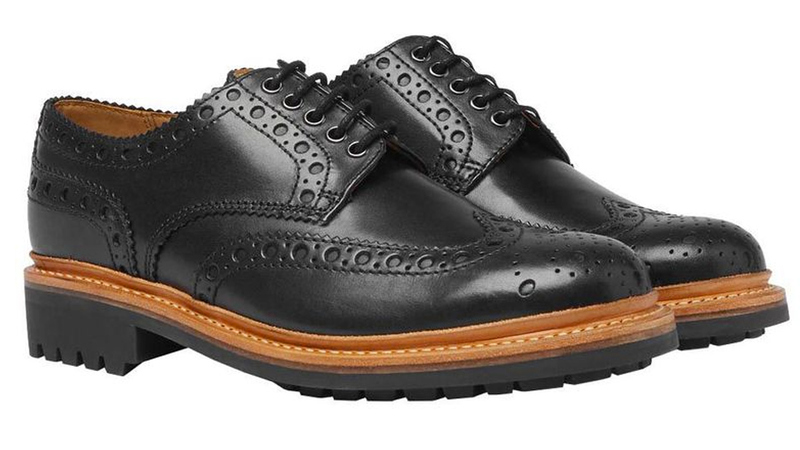 Black is the subtlest when it comes to wingtips and broguing. 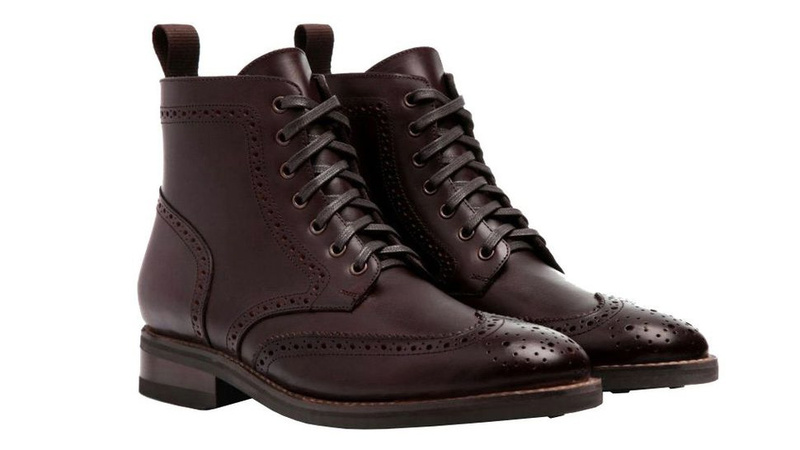 Thursday Boots brown wingtip boots are great for pairing with a suit or cool trousers. 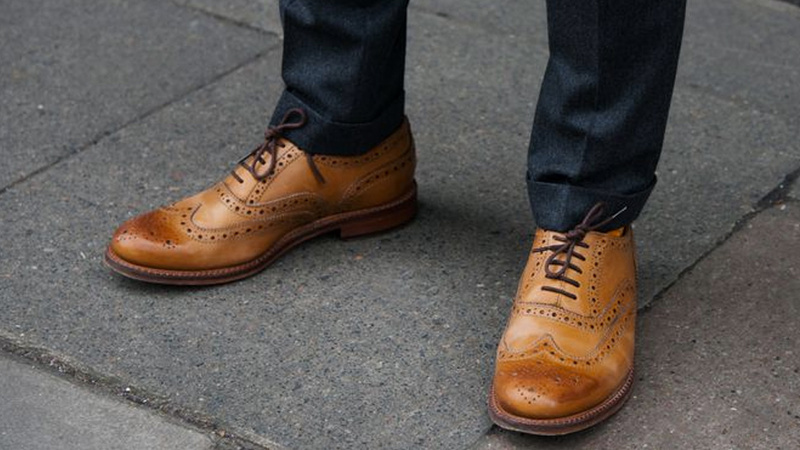 Cole Haan's reddish tan is one of the easiest ways to make wingtips work for you. Wear these for your warm-weather weddings. A dress shoe for the non-dress shoe type. 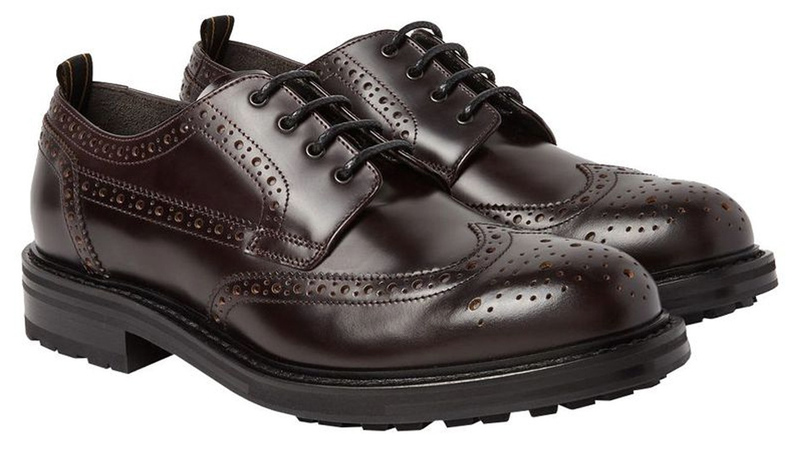 A thick, lugged sole makes the dress shoe shape and detailing toned down and edgy. 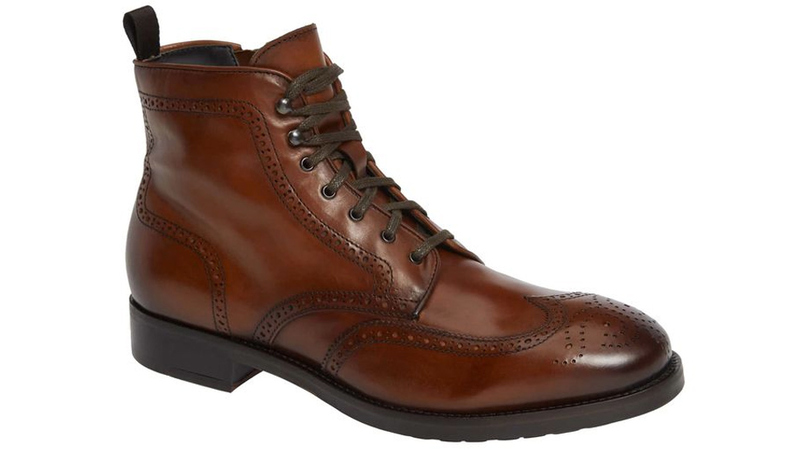 If you're looking for a boot to wear with a suit, To Boot's wingtips won't disappoint. They're comfortable right out of the box and look as sharp as a dress shoe. Water-resistant shoes are essential for getting to and from work without your style missing a beat. There's something about a quality leather and rich brown color that will never go out of style. You can count on Varvatos to design something that could be worn with a suit as easily as distressed denim. 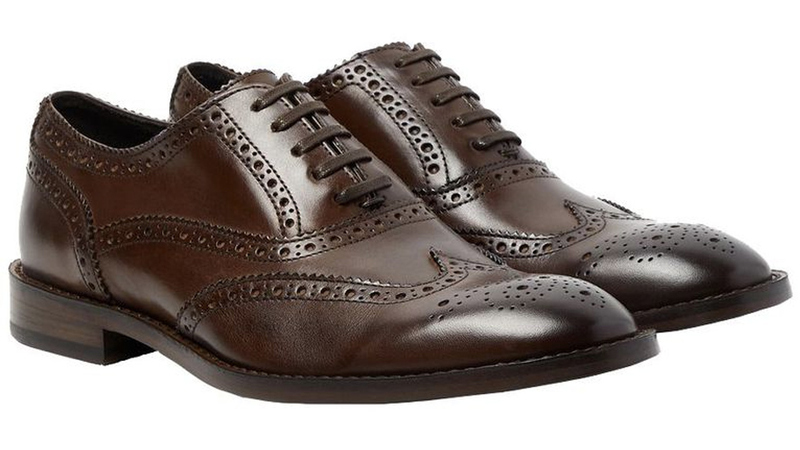 This subtle wingtip does both. 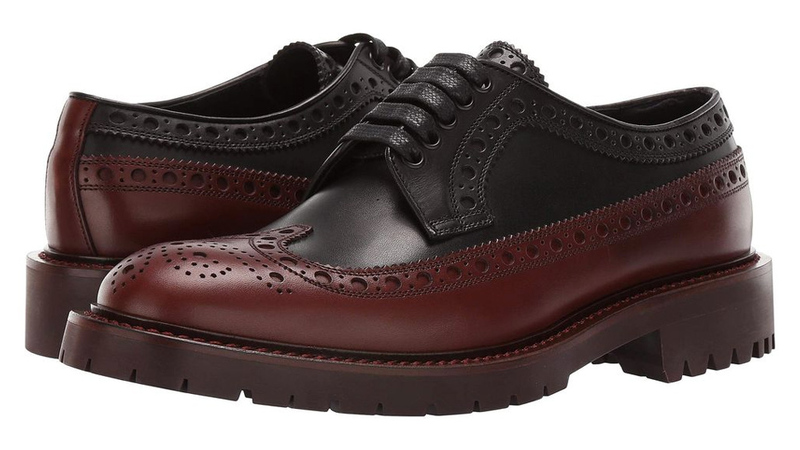 Two-toned Burberry shoes are the fashion side of edgy. They're guaranteed to level up any suit you wear them with. 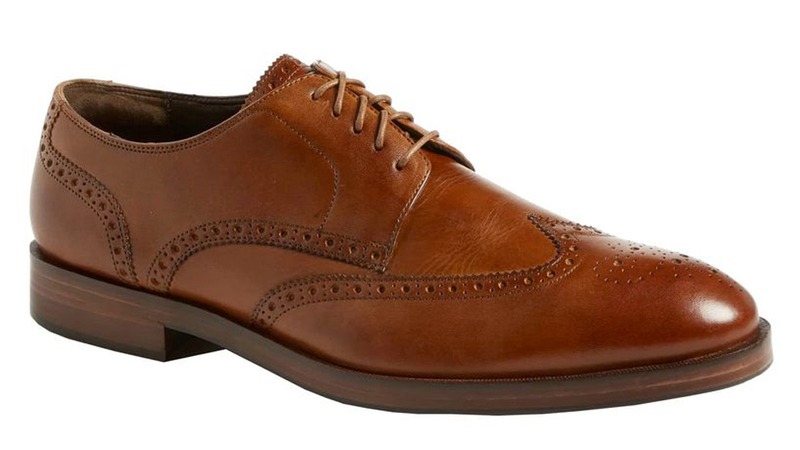 For the true wingtip lover, it's worth investing in a lasting pair. George Cleverley's are fit to be timeless. 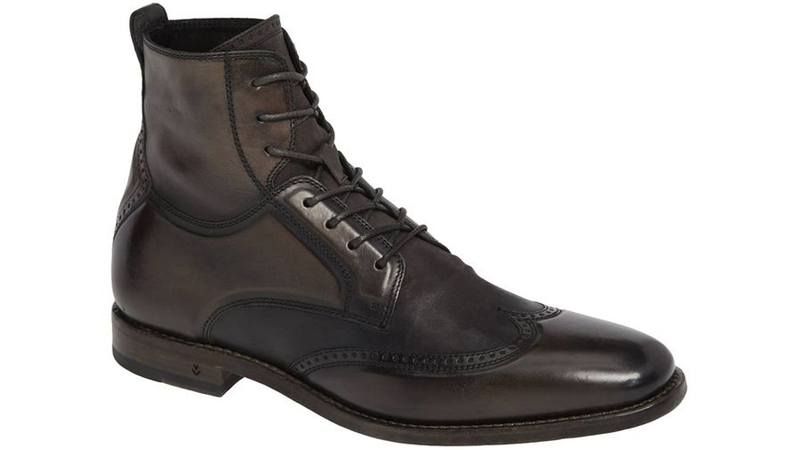 Dunhill's expertly made shoes have the traction of a boot without the ankle height—you know they'll last a lifetime.